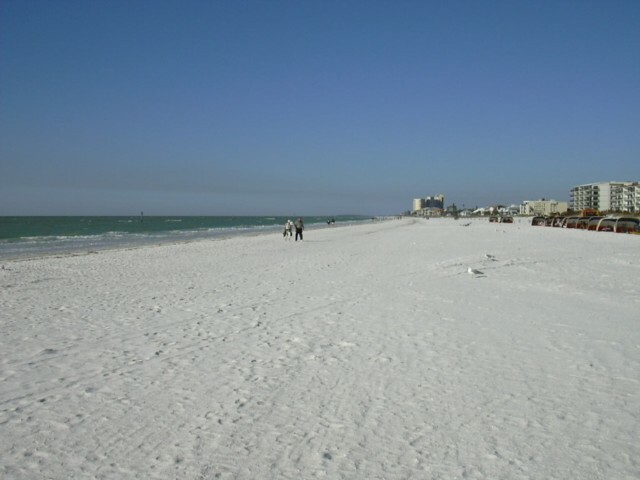 The Gulf Coast is only about an hour and a half from Orlando and has some of the most amazing beaches in Florida. If you fancy a break from the Parks then why not plan a different sort of day which will still appeal to all of the family. Start the day with a good hearty breakfast before setting out. How about an 'eat as much as you like' at Ponderosa or Shoneys - so filling that you can usually dispense with lunch! 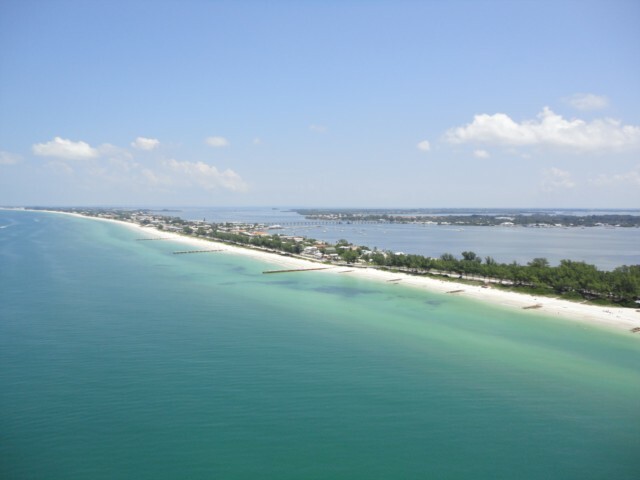 Then pick up the Interstate 4 and head towards Tampa and the Gulf. From Tampa head for Clearwater. Once in Clearwater park in one of the car parks adjacent to the beach. The beach is awesome! 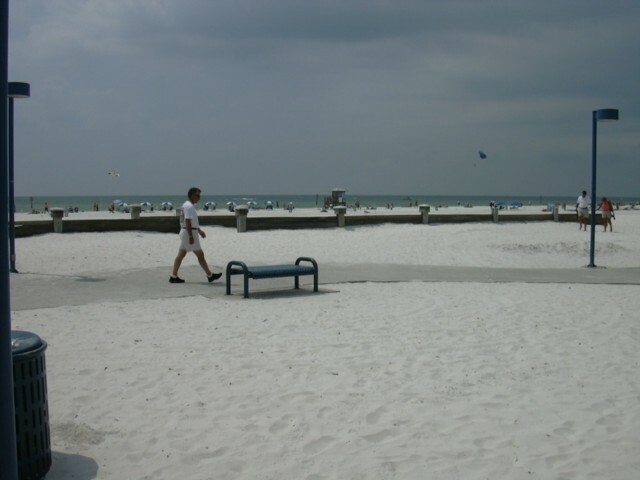 Beautiful fine white sand - so white it looks like flour! 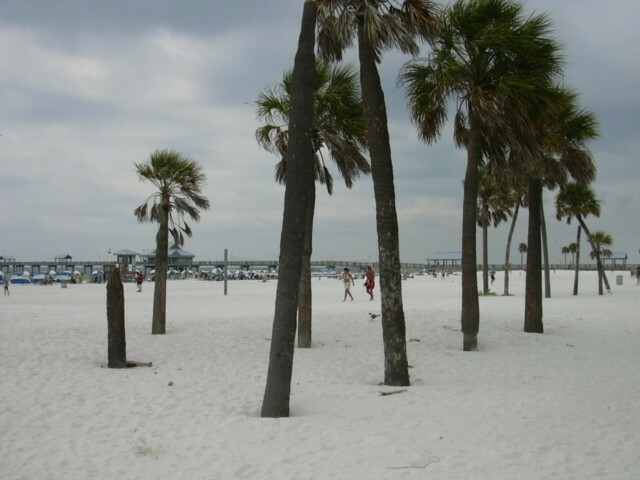 The beach is edged with palm trees and is nothing far short of paradise. Opposite the beach is the harbour area. From here you can take your pick of boat rides - the one we can recommend is the Sea Screamer which is apparently the largest speedboat in the world! For a mere $16 per head you can take the trip out to sea in search of dolphins. Sit yourseslves at the back of the boat for the best view! Once out in the open sea the boat speeds up and foam is produced from the back. Dolphins jump in the foam - and it is the most wonderful sight. In the rare event of no dolphins seen then you are given a voucher for another trip. We have recommended so many friends to do this trip and only once have I heard of a dolphin no show. 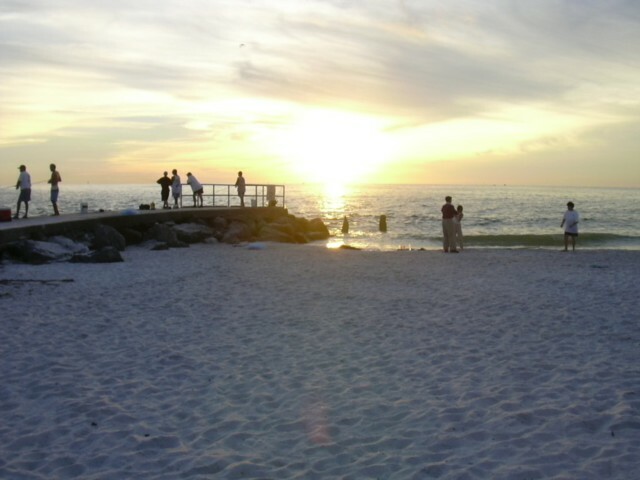 Take the coast road south out of Clearwater for about 5 miles and you will come to St Johns Pass. This is a small shopping area on an inlet. 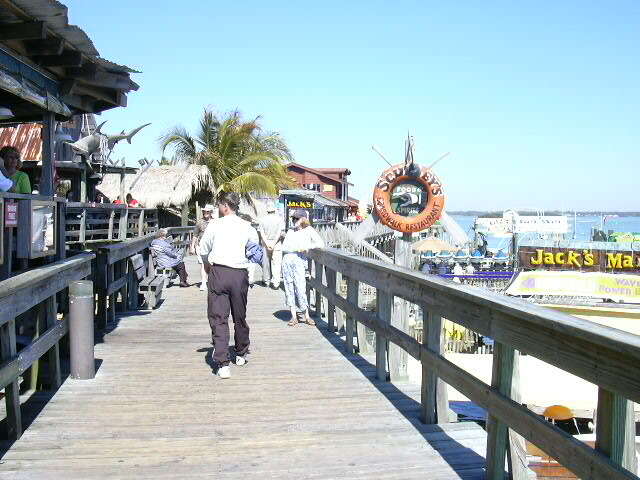 Browse the gift shops and make your way to the boardwalk on the inlet. Here you can see the pelicans that wait for the fishing boats to return with their catches and the sight of a fresh catch being thrown to these huge birds is amazing! If you are lucky you my also see dolphins jumping out of the water. 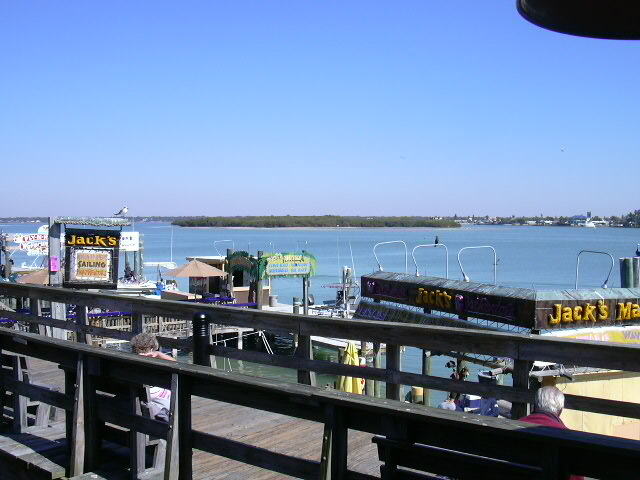 Here on the boardwalk at St Johns Pass is a great place to eat, called Sculleys. Sit outside and you can watch the coming and goings of the estuary. 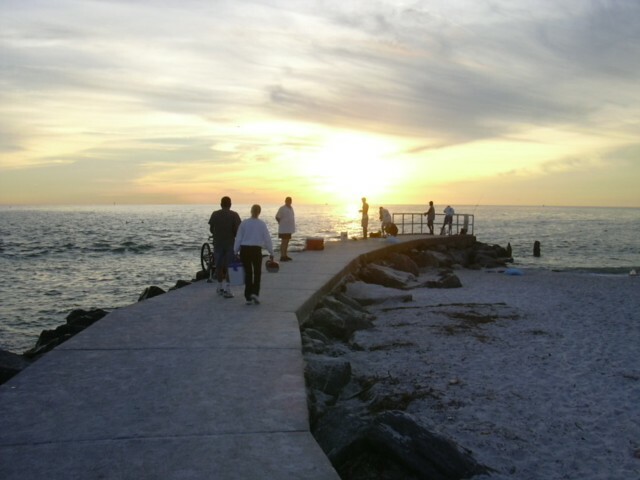 Make your way back up the coast road to Clearwater, parking again by the beach. Here you can watch the sun go down - and is one of the best sunsets you'll ever see. 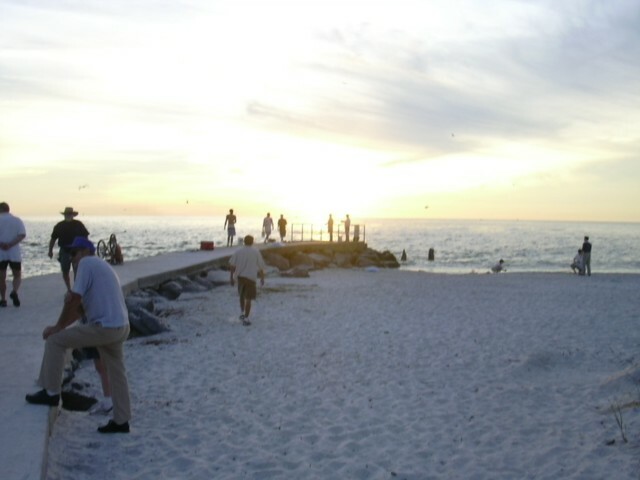 The area around the pier becomes a hive of activity at dusk with stalls of handicrafts, artists drawing and doing portraits and also street entertainers. A fabulous way to end the day. Viewed 3721 times since 1 September 2008.